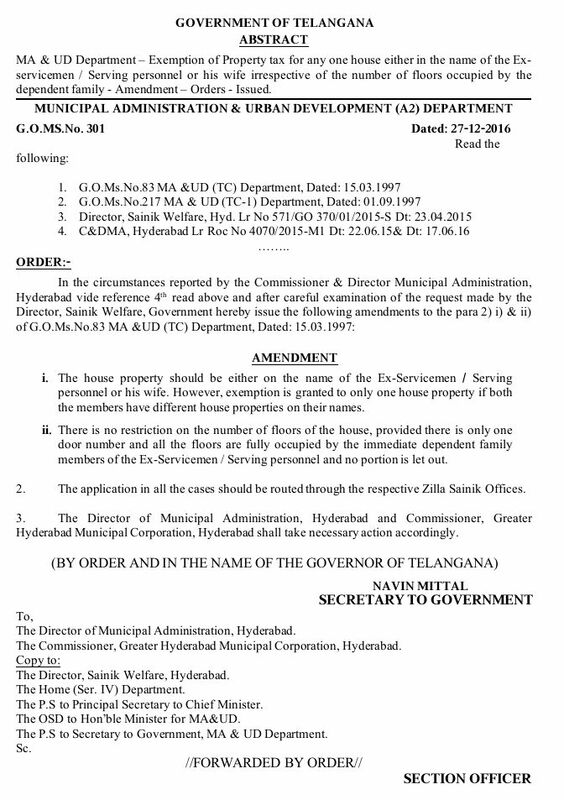 Exemption from property tax for one house/shop of ESM/their widows/serving personnel when it is self occupied by the widow/ESM and by the family in case of serving personnel already exists by ESM of the Andhra Pradesh (United) before formation of Telangana. There was no exemption if house is on the name of wife which is extended now. how about house in the name of father/ancestral house, their applications shall be rejected.